Google is set to remove ads for sites offering Government services at a substantially higher cost from its SERPs (search engine results pages). Sites offering applications for passports, driving licenses, European Health Insurance Cards (EHIC) and processing for self-assessment tax returns had originally been flagged to ministers by consumer watchdog, Which?. 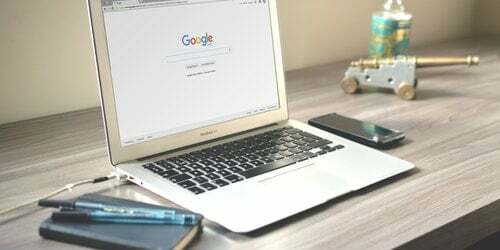 It reported a selection of complaints regarding the use of PPC advertising Google by sites to exaggerate their offerings, masquerading as legitimate Government services or underplaying those services that consumers could use for free or a considerably lower amount. The Government in-turn took action, with Civil Society Minister Nick Hurd, Cabinet Office minister Francis Maude, and Communications minister Ed Vaizey holding talks with the search engine giant regarding the issue. Mr Vaizey said: "Our objective is to ensure that people find legitimate government websites - particularly for tax, driving licences, passports and congestion charge - at the top of their search rankings rather than get diverted to sites that don't add any value, cost them money and take their personal details." Which? 's executive director, Richard Lloyd, stated that "copycat websites" had been allowed to get away with "misleading consumers into paying potentially hundreds of pounds for services that should be free" for too long. Head of policy at Google UK, Theo Bertram, spoke about its decision to remove the results from its listings. He said: "We want to be serving ads that our users find useful. Working with the Government and TfL (Transport for London) we have been able to better enforce our existing policies and protect users from misleading websites."